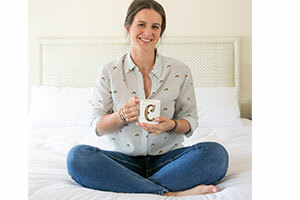 If you’re trying to decide between a Greek getaway or an Eastern adventure for your honeymoon, then international wedding planner and founder of La Fete, Charlotte Ricard-Quesada, is here to help. She offers Vows & Venues readers invaluable insight on tips and details from both locations for anyone researching honeymoon destinations themselves! My husband and I were fortunate enough to experience two radically different trips as newlyweds: a three-week honeymoon travelling throughout Japan and a long weekend ‘mini-moon’ if you will, in Mykonos. Both very different, but both equally memorable: which are you more drawn towards? While in Kyoto, we had also booked a geisha and samurai experience, where I was made over as a maiko (trainee geisha) and my husband as a samurai, with a photo shoot against the cherry blossom in the street. It might seem a little cliché and touristic, but it was a great start to our trip and a true highlight. During our stay in Japan, we also visited Naoshima (known for its art museums), Nagano (where we saw snow monkeys), Takayama (wonderful for hida beef and enjoying the rural setting), Nara (the most beautiful temples and tiny deer) and of course, Tokyo. Throughout our trip, we stayed in traditional ryokan hotels (which I would highly recommend). In Tokyo though we stayed at the Mandarin Oriental, where we were treated absolutely incredibly by the staff, who showered us with gifts and were all so conscious to make our honeymoon extraordinary. Make sure to visit Sushi Aoki in Tokyo for the best sushi of your life and while in the capital, stop by Sanrio, Uniqlo, Onitsuka and vintage stores for the best shopping (keep your eyes peeled for vintage kimonos in particular). Don’t rent a car while in Japan: rely on the metro and bullet trains, they will get you around in no time, particularly for any shorter trips, such as to Mount Fuji. I was invited by Santa Marina Resort to visit their beautiful hotel and experience their facilities just after our August wedding and once the summer season had died down on the Greek island. They very kindly agreed to welcome my husband and so began our mini-moon. Mykonos has a wonderful relaxed vibe that immediately made us feel comfortable and excited for our long weekend. Our hotel was absolutely fantastic: perfect service, a gorgeous private beach, transfers into town, 3 different restaurants, 2 pools, a spa and Buddha Bar Mykonos on site. The concierge is incredibly helpful in organising activities, which is ideal for any romantic day trips you have in mind, such as boat excursions or private spa sessions. While in Mykonos, make sure to visit Delos (the mythological birthplace of Apollo) and Mykonos town for a spot of shopping. Fill up on swimwear by local designers, natural sponges and seashells. I would also recommend renting a scooter or a quad to get around, much more practical and fun than a car. The choice of where to spend your honeymoon is very personal and extremely dependent on what kind of couple you are: do you want to spend two weeks relaxing on a sandy beach or do you want adventure and endless activities? There is no right or wrong answer here, but there are destinations that lend themselves better to one option or the other. You just need to choose, which is really the most difficult!